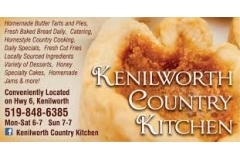 Nestled in the centre of the township on Highway 6 is the Kenilworth Country Kitchen Restaurant. The menu offers a large selection of full course meals, daily specials, eat in or take-out. Then there is DESSERT. 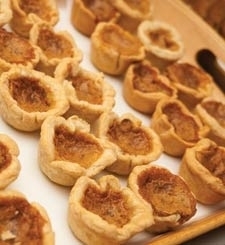 Homemade pies and of course Butter Tarts, on their own or the delicious "Butter Tart Sundae". Come in and enjoy our relaxed and friendly home atmosphere.